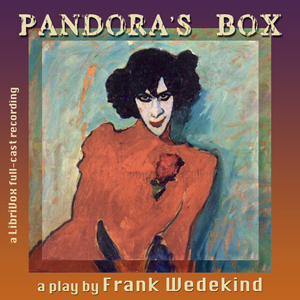 Pandora's Box (1904) (Die Büchse der Pandora) is a play by the German dramatist Frank Wedekind. It forms the second part of his pairing of 'Lulu' plays (the first is Earth Spirit ), both of which depict a society "riven by the demands of lust and greed". G. W. Pabst directed a silent film version (Pandora's Box), which was loosely based on the play, in 1929. Both plays together also formed the basis for the opera Lulu by Alban Berg in 1935 (premiered posthumously in 1937). In the original manuscript, dating from 1894, the 'Lulu' drama was in five acts and subtitled 'A Monster Tragedy'. Wedekind subsequently divided the work into two plays: Earth Spirit (German: Erdgeist, first printed in 1895) and Pandora's Box (German: Die Büchse der Pandora). It is now customary in theatre performances to run the two plays together, in abridged form, under the title Lulu.